Although most of this list contains series from the sixties, seventies and eighties I begin with an oddity in British television. 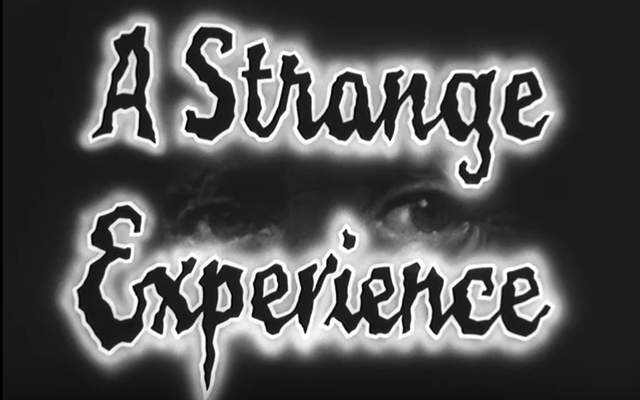 A Strange Experience filmed in 1949 consists of, as far as I can tell, two short episodes written and narrated by the great British horror and weird fiction writer Algernon Blackwood. In a conversational style, without any additional dramatisation Blackwood moves around a living room set and narrates his stories. The two stories are Lock Your Door about an old lady and a haunted house and The Reformation of St Jules about the peculiar idea of audible skywriting. The episodes are not terribly successful, in part due to their length, the awkward camera work and the improvised, almost too relaxed style of Blackwood's narration. Following on from A Strange Experience, in the early sixties ITN adapted more of Algernon Blackwood's horror stories for the series Tales of Mystery. This time Scottish actor John Laurie played the part of Blackwood as narrator and host, who introduced the stories which then went on to be performed. 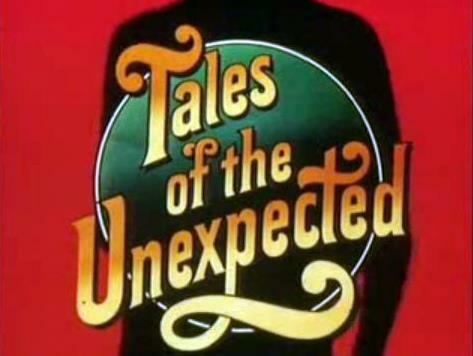 The series ran for 29 episodes but unfortunately none have survived. A series that adapted famous Gothic tales of the nineteenth century including Bram Stoker's Dracula and The Curse of the Mummy, Sheridan le Fanu's Uncle Silas, Mary Shelley's Frankenstein and Robert Louis Stevenson's The Suicide Club. It also included a number of M R James adaptations including The Tractate Middoth, Lost Hearts and Casting the Runes. The cast included Denholm Elliot, Ian Holm and Joss Ackland. 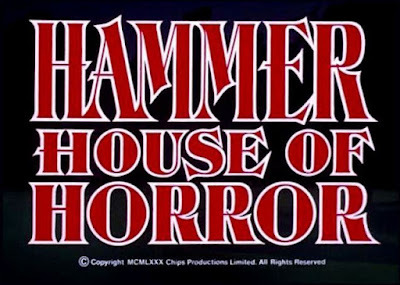 Produced by Hammer Studios and featuring both British and American actors that included Joseph Cotten, Roddy McDowall and Julie Harris (The Haunting.) Stories were a mixture of the supernatural, suspense and the generally odd. The series is more famous for its catchy whistled theme music. Produced by the BBC and consisting of 8 episodes, 5 of which have been lost. This is not an uncommon occurrence for series that were produced at this time, the BBC in order to save money would often reuse film and tape over previous footage. The same thing has occurred with Mystery and Imagination with only 8 of the original 24 episodes remaining. This short series ran from the 30th October to the 11th December 1970 and was based upon John Burke's horror anthology book series. (John Burke was also a contributor to the series Late Night Horror.) Each half hour episode consisted of a mixture of horror, suspense, with a touch of dark humor. Possibly the most well remembered of British horror anthologies A Ghost Story for Christmas aired on consecutive Christmas's from 1971 to 1978. Mainly adapting the classic ghost stories of M R James it also included an adaptation of Dicken's The Signalman which starred a brilliant Denholm Elliot as the troubled Signalman who believes he is being warned about a future catastrophe. Primarily set in the nineteenth and early twentieth centuries the series successfully manages to create a dark sense of unease as characters faced the unexplainable and in some cases the horrific. For more on the tradition of the Christmas ghost story read further here. The Frighteners was an anthology series that combined horror with suspense, with stories featuring ordinary people in unusual and menacing situations. It included episodes written by horror writer John Burke, playwright William Trevor, Andrea Newman (Bouquet of Barbed Wire) and Get Carter writer/director Mike Hodges. Taking its name from the hugely successful British portmanteau horror film of 1945, this series originally consisted of 7 episodes with only 3 now remaining. With a contemporary setting the emphasis was more on drama rather than on horror, placing ordinary people in strange psychological or possibly supernatural situations and often reflecting some of the social anxieties of the time. 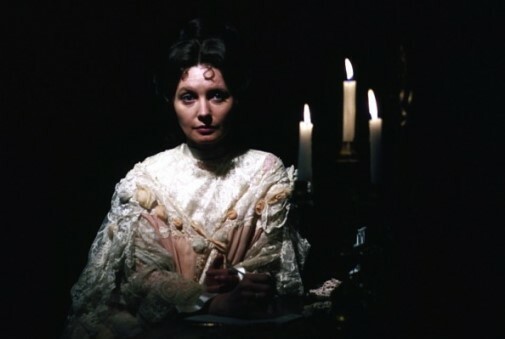 The episode The Exorcism in particular uses the ghost story to explore themes of capitalism and the exploitation of the poor and A Woman Sobbing explores the role and treatment of women in society, very much influenced by Charlotte Perkins Gilman's gothic tale The Yellow Wallpaper. 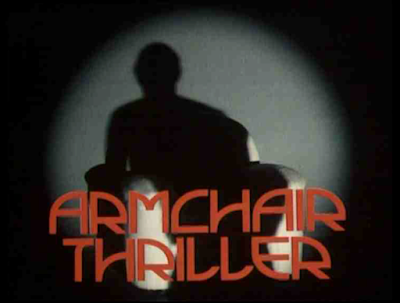 Not to be confused with Boris Karloff's Thriller, this British series was created and written by Brian Clemens, most famous for his work on The Avengers and The Professionals. 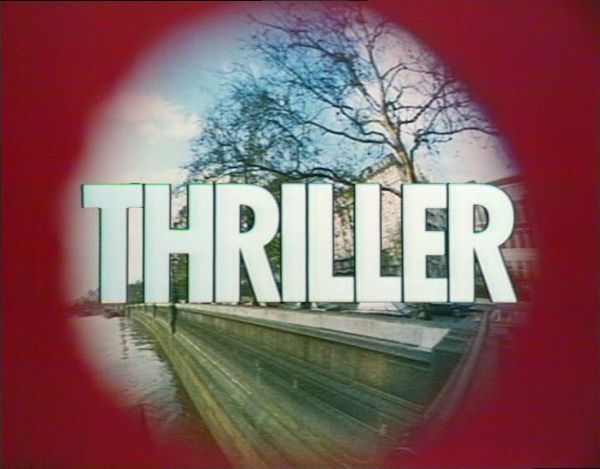 Thriller is memorable for its opening sequence which had a fish eye lens on an exterior scene surrounded by red, with harsh piano tones sounding in the background. Stories were a good mixture of mystery, Hitchcock inspired suspense and the supernatural. The series was also influenced by the slasher films and psychological thrillers of the period, in particular in the episodes that featured stalkers and serial killers. 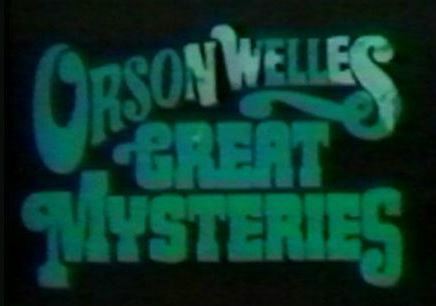 Orson Welles was the host of this mystery anthology series which featured a number of supernatural episodes, including Arthur Conan Doyle's The Leather Funnel, W. W. Jacobs' The Monkey's Paw and Charles Dickens' Trial For Murder. 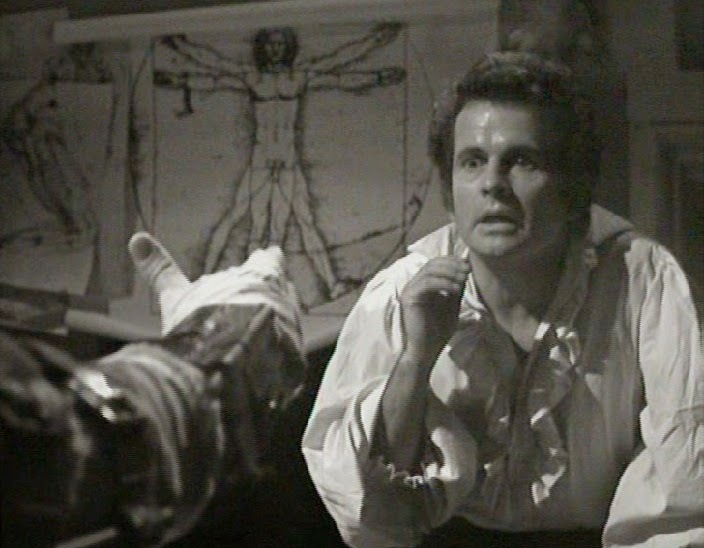 Guest stars included Christopher Lee, Peter Cushing, Donald Pleasence, Claire Bloom and Ian Holm. The haunting theme was composed by John Barry. Leap in the Dark was a supernatural anthology series based on real cases of haunting and possession, filmed in a docu-drama style. It included episodes written by the fantasy/folk horror writer Alan Garner, Penda's Fen writer David Rudkin and She-Devil writer Fay Weldon. A supernatural series aimed at younger viewers. The writers included J. B Priestley (An Inspector Calls), Penelope Lively (The Ghost of Thomas Kempe), Joan Aiken (The Wolves of Willoughby Chase) and Susan Cooper (famous for her The Dark is Rising series of fantasy novels.) 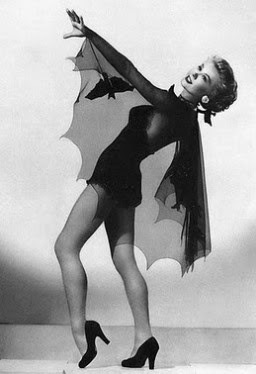 Stories featured ghosts, hauntings, witchcraft and alternate realities. Written by Quatermass creator Nigel Kneale, each episode centers around some kind of monster or strange creature, from a mummified body to giant rats. Typical of Kneale the series combines elements of the supernatural, science fiction and folk horror and skillfully creates tension and suspense with very little use of special effects. The Mind Beyond was part of the series BBC2 Playhouse. The collection featured six plays that concentrated on different elements of the supernatural. The plays were Meriel, the Ghost Girl, Double Echo, The Love of a Good Woman, The Daedalus Equations, the folk horror inspired Stones and The Man with the Power. Considered by many to be a poorer version of Thriller, this may be due to the slow pace of some of its stories which were spread over 4 to 6 twenty-five minute episodes, with the emphasis seemingly more on drama than on thrills. The cast included Sir Ian McKellen, Ian McShane and Nell Campbell, also known as Little Nell famous for her role in The Rocky Horror Picture Show. The theme music was co-composed by Roxy Music. Hosted by Roald Dahl with episodes adapted from many of his short stories but also featuring stories by other authors such as Patricia Highsmith, Angela Carter and Ruth Rendell. Each episode was famous for its twist and often macabre ending, laden with generous amounts of dark humor. Stories ranged from tales of murder and blackmail to revenge and infidelity. The lengthy cast included Sir John Gielgud, Sir John Mills, Brian Blessed, Denholm Elliot, Derek Jacobi, Ian Holm, Michael Gambon and American actors like Sharon Gless, Julie Harris and José Ferrer. Like with many of the series on this list it also had a memorable opening sequence and theme. 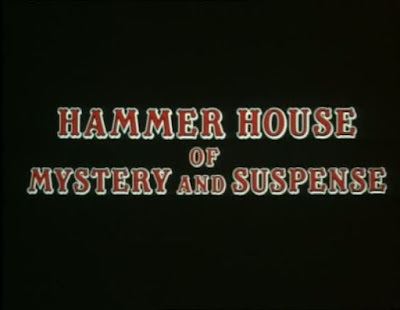 Another Hammer produced TV series with a contemporary setting. 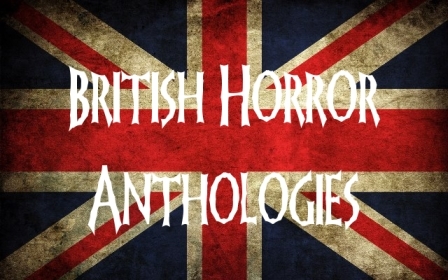 Stories were an excellent mixture of horror, thriller, suspense and the occult. 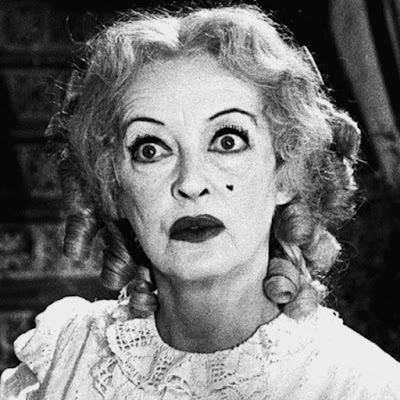 Memorable episodes included Witching Time, a story about a 17th century witch who returns to the present day, starring a perfectly manic Patricia Quinn. The Two Faces of Evil is one of the most eeriest episodes with echoes of Invasion of the Body Snatchers and The Silent Scream features Peter Cushing as a mad scientist conducting strange behavioral experiments on animals and then on humans. 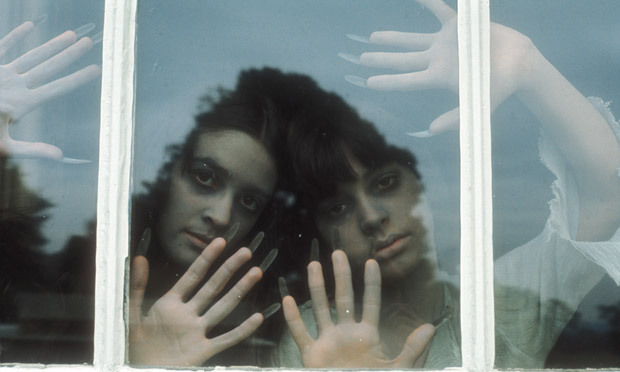 West Country Tales was a supernatural drama series based on the real-life supernatural experiences of viewers that responded to a BBC appeal. Of the hundreds of letters received, 14 stories were selected and turned into TV scripts. Shades Of Darkness features a series of classic ghost stories from writers such as Edith Wharton, The Lady's Maid's Bell, Afterward and Bewitched, Elizabeth Bowen, The Demon Lover and Agatha Christie, The Last Seance. The series focuses more on the drama than the horror, slowly setting the scene (sometimes too slowly) and building up to the stories' creepy finale. 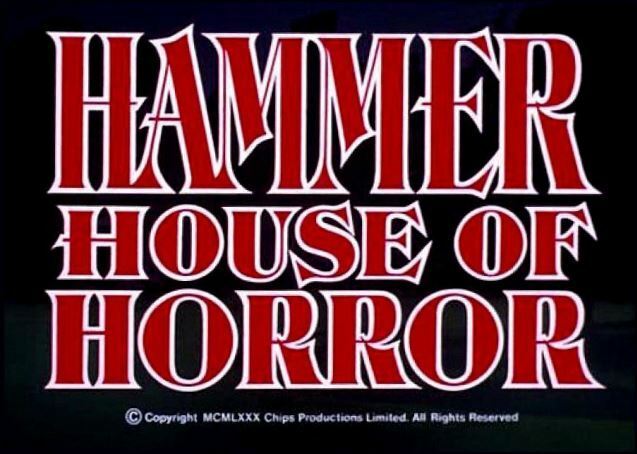 A Hammer series with a similar format to Hammer House of Horror, however unlike Hammer House of Horror they consisted of feature-length episodes, around 70 minutes and often featured an American lead actor. The programme only lasted for one series and was certainly not as successful as Hammer House of Horror, in part due to the length of the episodes, with stories seeming to drag on unnecessarily. 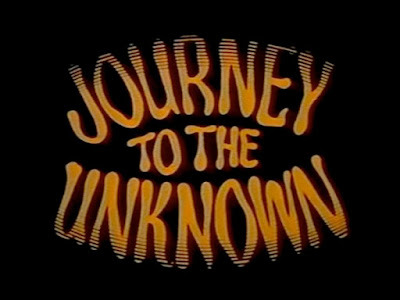 A series that were based on real paranormal cases found in the archives of the Society for Psychical Research. Guest stars included Denholm Elliott, Karen Black and Eli Wallach.